Nigeria on Thursday called for one of its commanders to be put in charge of a new regional fighting force until Boko Haram was crushed, as coalition partners met to discuss military strategy. Heads of state and government from Nigeria, Niger, Chad, Cameroon and Benin jetted in to Abuja, after two days of preparatory talks involving military top brass and defence ministers. But Muhammadu Buhari left no doubt about his desire to control the counter-insurgency, suggesting a six-month rotational command structure between the five nations could harm the fight-back. 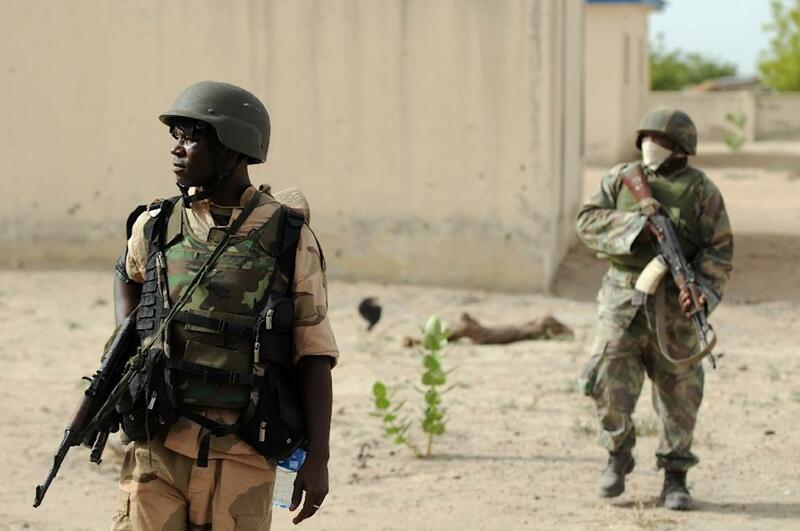 “Such a process will undermine, even if it is not intended, the military capacity to sustain the push against the insurgents,” said the Nigerian president. A single commander would improve “the effectiveness of military strategy, since Nigeria will be providing the bulk of the troops and the main theatre of the war is on Nigerian soil,” he added. Nigeria’s military last week announced that Major-General Tukur Buratai had taken charge of the Multi-National Joint Task force (MNJTF), which has its headquarters in Chad’s capital, N’Djamena. Buhari, 72, has made ending the militants’ reign of terror his top priority and has already moved the military’s command centre from Abuja to Maiduguri, in the rebels’ northeastern stronghold. Last weekend, he appealed to world leaders at the G7 summit in Germany for more help in combating extremism and visited Chad and Niger to push for longer-term co-operation on security threats. The flurry of activity since his inauguration on May 29 stands in stark contrast to years of apparent inaction in tackling the group by his predecessor, Goodluck Jonathan. Political analyst Imad Mesdoua said Buhari, an uncompromising former military ruler, was aware he had to address the issue swiftly during his honeymoon period with the electorate. “He has zero time. I really think he has to hit the ground running. He has to get everything in place as fast as possible,” Mesdoua, from the Africa Matters consultancy, told AFP from London. The MNJTF was first agreed upon in May last year, a month after Boko Haram shocked the world by kidnapping more than 200 schoolgirls in northeast Nigeria. It was supposed to be operational in November 2014 but was dogged by wrangling between anglophone Nigeria and its francophone neighbours, whom it has long viewed with suspicion. Reviving the force was brought to the fore in January, as Boko Haram hit northeast Nigeria almost daily and began to eye territorial gains in the border regions of Niger, Chad and Cameroon. An 8,700-member unit backed by the African Union was finally agreed with its base in N’Djamena, costing some $30 million (27 million euros) to run over the next year. The new force will replace an existing coalition of Nigeria, Niger, Chad and Cameroon that has claimed a series of successes against Boko Haram since February. Nnamdi Obasi, senior Nigeria researcher at the International Crisis Group, said this week’s meetings could improve coordination between the neighbours. “But improvements in coordination will need to be sustained by military, intelligence and other assistance from the wider international community if they are to achieve early and durable results,” he said in an email exchange. Buhari’s pro-active stance against Boko Haram has sent encouraging signs to the international community frustrated by dealings with Nigeria under Jonathan, according to security analysts. 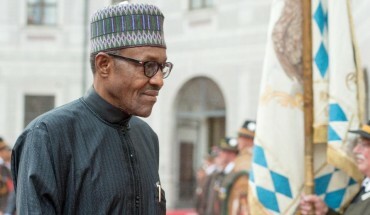 “The G7’s unprecedented pledge to support the country –- details of which are still to be worked out –- reveals the level of trust key international leaders place in Buhari’s leadership,” said Malte Liewerscheidt, senior Africa analyst at Verisk Maplecroft. The regional meeting will be closely watched for indications about the extent to which foreign forces can operate inside Nigerian territory. Chad and Niger have both complained that Abuja prevented their troops from pursuing militant fighters deeper into Nigeria’s northeast, allowing the insurgents to get away and re-group. Buhari has underlined the need for long-term, regional co-operation, particularly as Boko Haram has allied itself to Islamic State group militants in Syria and Iraq. Boko Haram has reverted to guerrilla tactics since being forced out of captured towns and villages, with at least 12 attacks since Buhari took over and 109 deaths, according to AFP reporting.